I must warn you: I am not a gardener! I want to be. I really do. I want to be a gardener and a seamstress. Those are my domestic voids. We’ll get to the topic of sewing some other day, but today, this spring day in Tennessee, despite my inadequacies as a gardener, I planted our cutting garden. We have done this for over a dozen years, and have yielded enough herbs to use in the kitchen for the season and enough flowers to enjoy! It’s really amazing to think that those tiny shards could become daisies! It is now planting time and I’m excited about sowing the seeds and seeing what they yield. It really is such a spiritual process. The weeding, the digging, the connection to the earth and the soil. The waiting, and watching, and tending, and protecting, and relinquishing control, and receiving the fruit. It is work and requires commitment but it is worth it. 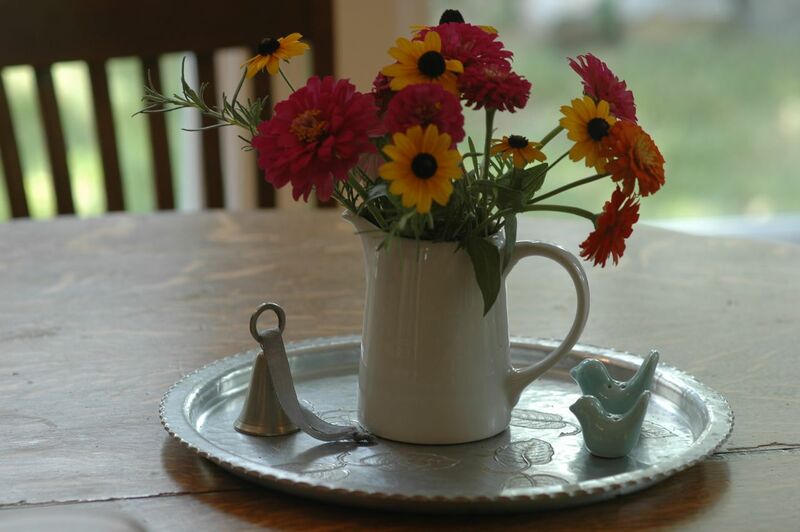 My friend Connie taught me about planting zinnias and my friend Melinda taught me about growing herbs. They each believed in me (despite my lack of skills) and provided simple tips that gave me the know-how and courage to pursue it years ago. I am grateful for this. I have tried different plants and have had varied success. 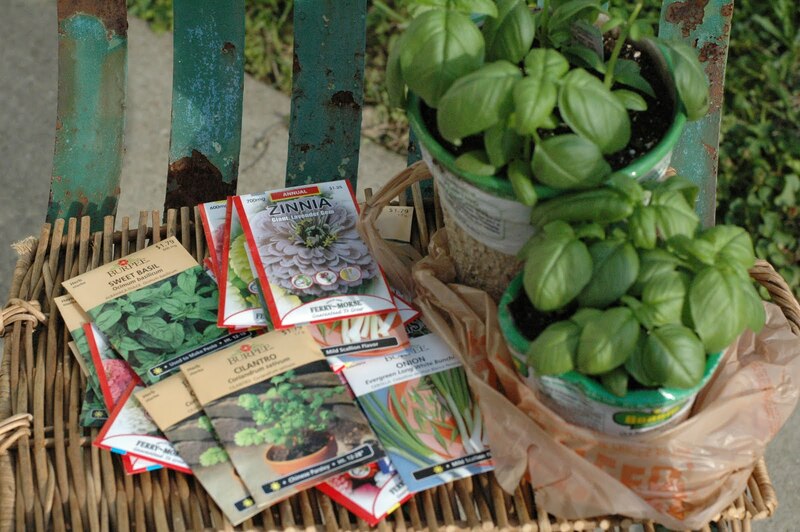 I realized that I need to plant the herbs that I really use. For me they are: basil, cilantro, green onion, rosemary and mint. I also have learned that waiting until the predicted “last frost” in your area is a wise thing. (In Tennessee they say “tax day”- April 15th). Readying the soil is important. 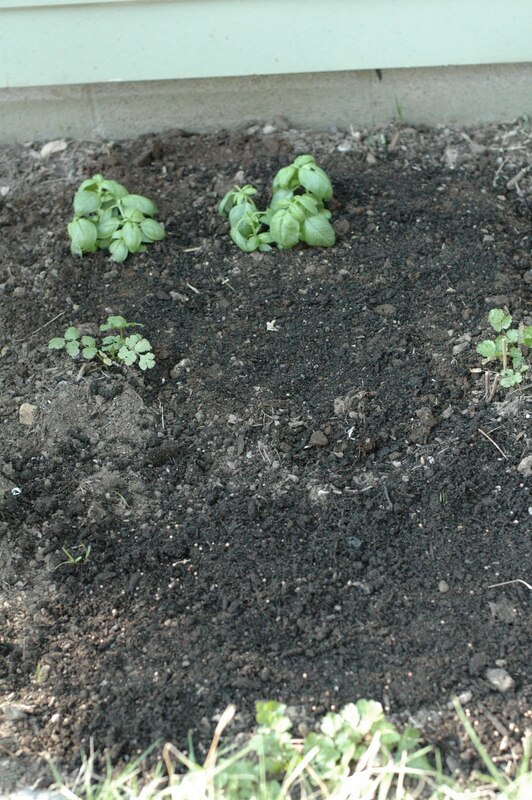 Weeding and adding some rich potting soil, tilling it, “amending it”, is important for setting the stage. Plant more seeds than you think you want, since the wind and birds might carry some away before the sprouting occurs. 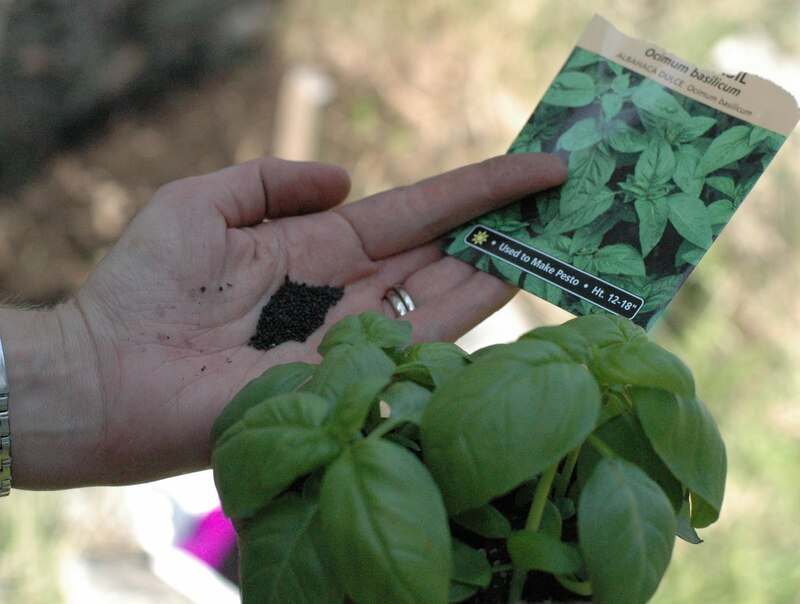 When planting seeds, think about the predicted growth when determining where and how much room to place between types of herbs. we’ve planted, now we wait! 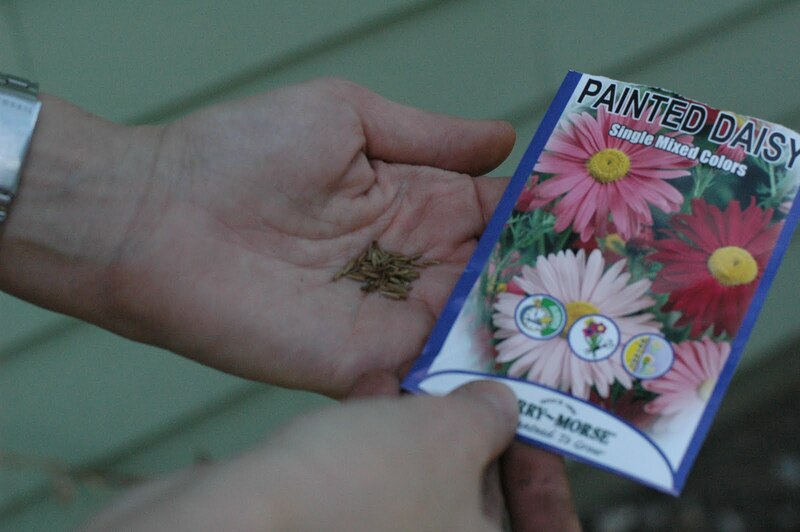 Cover seeds with a light layer of soil after scattering them in the bed. This Spring and Summer I’m planning on sharing with you some recipes “from the Herb Garden”- recipes that will make you thankful that you have fresh herbs at your doorstep. Oh and zinnias. They are just the happiest things! I love that they are “cutting flowers”. While flowers like tulips are elegant and lovely, they are just not very giving or practical- two qualities that are of utmost importance to me! 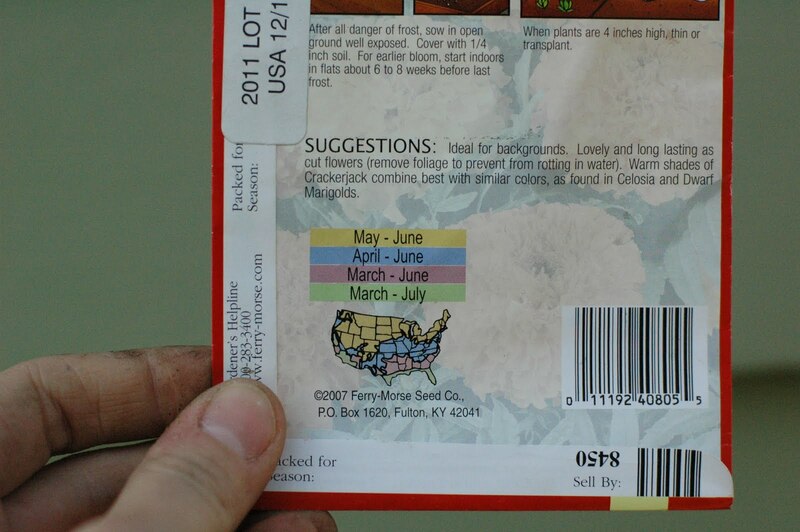 So, zinnias, are for me. They are flowers that are meant to be cut. In so doing, they actually produce more blooms! How wonderful and generous- not to mention the brightest, happiest thing to have in your home or to share with a friend. I do love an cutting perennial, though. I have daisies and black eyed susans that are from my mother-in-law’s garden that she brought from Kentucky and transplanted into my yard a few years before she died. They are a cherished gift. They keep multiplying and growing. I can’t wait to show them to you when they bloom in the summer! To get you inspired- just think about the Bruschetta and Salsa that can come from your little stash of Herbs! Happy Planting! Let us know if you have any other tips or inspiration to share! P.S. Fruit Tea with Mint is coming! I'm looking forward to your herb-inspired recipes! The worst part of renting is not having my own garden. I did manage to grow basil (from seeds) inside last year though! You can always plant them in clay pots! Just choose large enough pots so that the roots can grow deep and yield a bountiful harvest. Any thoughts out there about Growing in Containers or about gardening as a “renter”? Let us know!